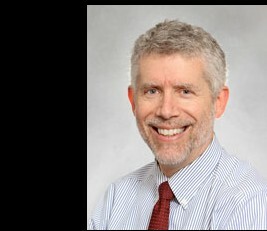 Tom Harburg, MD, is the physician in charge at Division Medical Office in the Northwest. He co-sponsors two primary care teams in the medical office along with the medical office manager and their labor partners. “Doctors can’t be cowboys anymore,” says Dr. Harburg, referring to physician Atul Gawande’s New Yorker article “Cowboys and Pit Crews.” Harburg agrees with Gawande that doctors need to work in a team environment and that, as Gawande wrote, “places that function most like a system are most successful…(where) diverse people actually work together to direct their specialized capabilities toward a common goal for patients.” Dr. Harburg talked with LMP communications consultant Jennifer Gladwell about being a sponsor and the value of having the physician involved in the team. Q. What is your role as a sponsor? A. As the medical director of the clinic, I work with the medical office manager and labor partners to help sponsor the teams. We help facilitate leadership. I think the strength of the unit-based teams lies with the grassroots approach. The ideas come from the front line. My role is to help build awareness and alignment to the goals of the organization and ensure that our approach is member-centric. Q. What’s the biggest barrier you see? A. The measurement is the biggest barrier. We have to be able to measure our performance to see if what we’re doing has any effect on our patients. Q. How do huddles improve the work of the team? The true benefit of the huddles is communication. There’s a social aspect to in-person huddles that allows you to address issues that pop up. It also facilitates learning and disseminating information—like the first day of a new protocol, you can remind folks at the huddles. I also think it’s a morale builder. Huddles foster good camaraderie. We only have two huddles per week at the clinic, but we have been doing huddles for three years. We’ve changed the time of the huddles based on the clinic hours, and now we’re going back to mornings. The true benefit of the huddles is communication. There’s a social aspect to in-person huddles that allows you to address issues that pop up. Q. What advice do you have for other physician sponsors to help their teams be successful? A. If anybody is becoming a UBT sponsor or leader, I think the training is good. It’s useful for anything you might do. The whole concept of the team versus the individual is important. Dr. Atul Gawande wrote a New Yorker article about how doctors can’t be cowboys anymore. We have to work in teams. We have to be involved. We can be leaders. Physician involvement is ultimately going to be good for patients, and the team helps make life easier. It’s too easy to operate with a silo mentality. In clinical practice, we don’t want the lab making a rule that impacts patient care. We want to maintain leadership of the right thing to do, but having said that, you have to involve all the elements to have the team involved. Are we moving more toward that? For sure. Help your team with these resources.